Let’s think of this blog series as a journey – your journey of self-discovery. In part one, you discovered your unique strengths and talents through the StrengthsFinder assessment. You were coached in your full 34 strengths, understanding that your signature strengths the ones you are compelled to use and they are powerful. You also know your supportive strengths and how you can intentionally tap into this reserve of talent where you may be lacking in your signature strengths. Equally important but not more so, you also now know your blind spots and have strategies to manage them. You see yourself as a uniquely and significantly talented human being. In part two, you discovered your core motivations. 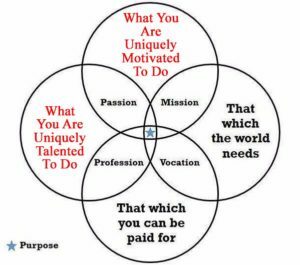 These intrinsic motivations explain what you are motivated to do with your unique set of strengths and talents. Together, these two form a powerful passion. 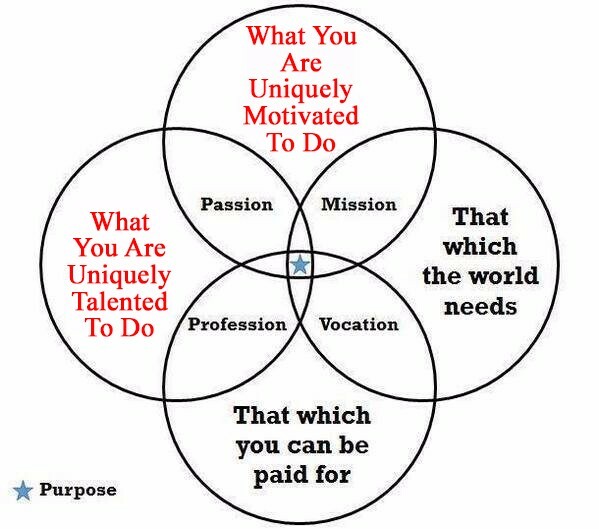 Your strengths, your motivations and your passion are strong indicators of your unique purpose. 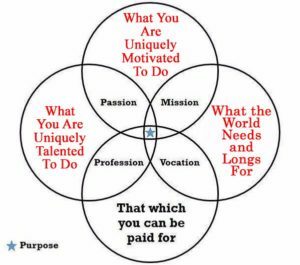 Now, in part three, we begin to align these three components with what the world needs and longs for. You know you have something to offer – something people need and appreciate. You are willing to take risks – you learn from both successes and even some disappointments, but you continue to reach out. As you offer your unique strengths, motivations and passion to the world, you have discovered the joy, the impact and fulfillment you experience as you contribute from your authentic self. You know your life is making a difference, you know you that you have something of value to offer to the world. You are growing and developing your talents, motivations and passion to make a difference in new and ever more powerful ways. Now, you are seeing this as a personal mission. You have identified needs that people long to fulfill. The more you give of yourself to help meet these needs, the more you are experiencing a growing sense of fulfillment. The world is a better place because of what you contribute. 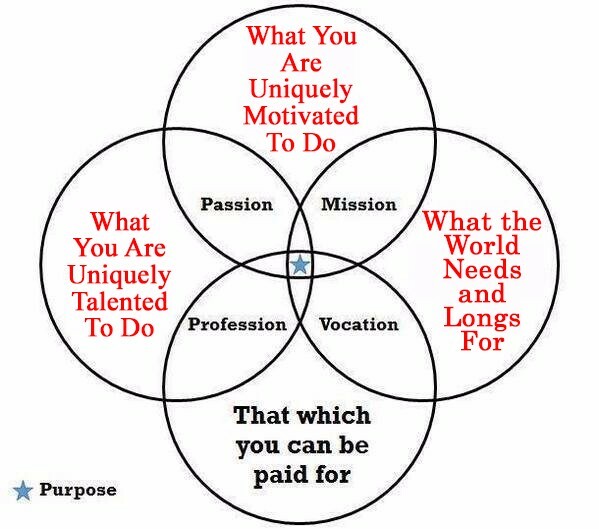 Now the question looms: Can I make a living at what I am uniquely talented, motivated, I have a passion to do, and it feels like my personal mission?